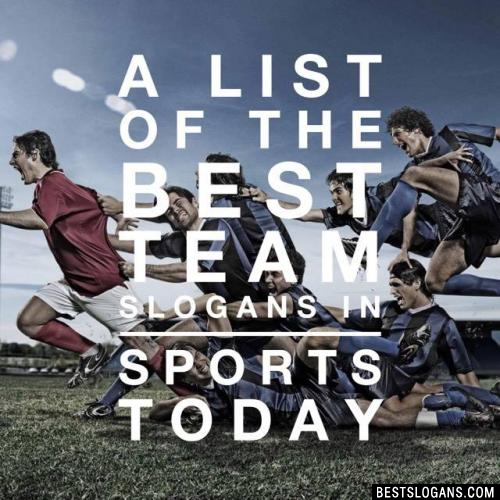 Award winning list of cool & funny sports team slogans for games and events 100% free. 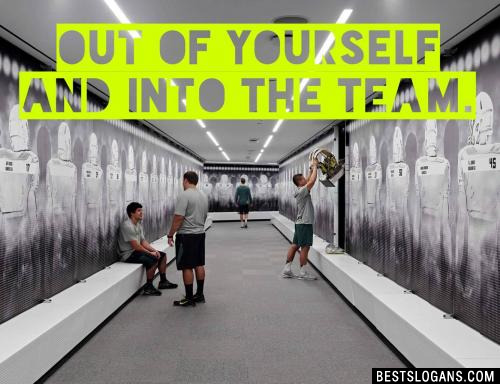 Including quotes and sports mottos to live by. High school athletes are more likely than non-athletes to attend college. Physical activity, and sports in particular, can positively affect aspects of personal development among young people. Getting people active could save the the global economy costs nearly $68 billion annually. 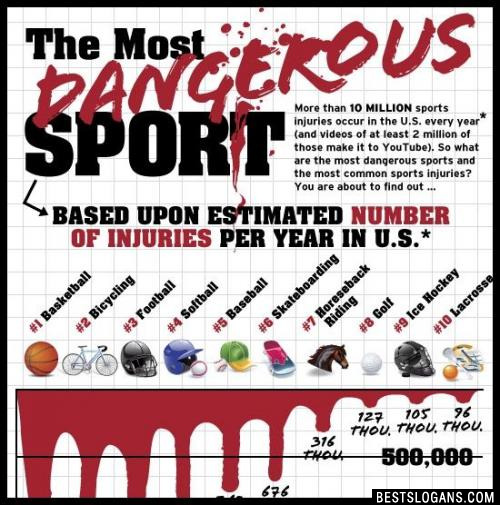 Sports are great sources of recreation. They provide relief and a sense relaxation in a life of monotony of routine marked by miseries, hardships and hurdles. Sports and games bring about various methods of diversions. Whether you're running a sports campaign, have a sporting event or just looking for general sports brand slogans we've complied a list of ideas for you to use. 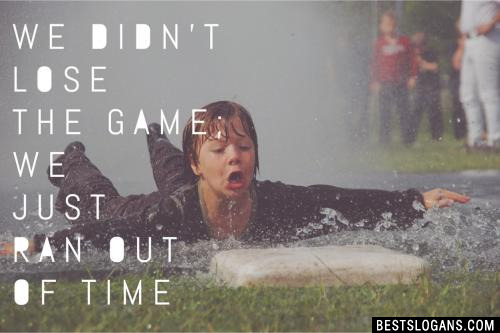 Included are sports taglines, quotes, sayings, phrases and more. 11 I will not calm down when the Eagles are on! 12 I may not be perfect, but at least I'm not an Eagles fan! 13 The one star isn't just an emblem, it's a rating! 14 We have a blow hole, write your own joke! 15 Our fans are more intimidating than our team! 16 We don't hibernate til the playoffs! 17 Track: It's better than playing with balls. Can you think of a good Best Sports Team Slogans we're missing? Or come up with a clever one of your own. Please share below.